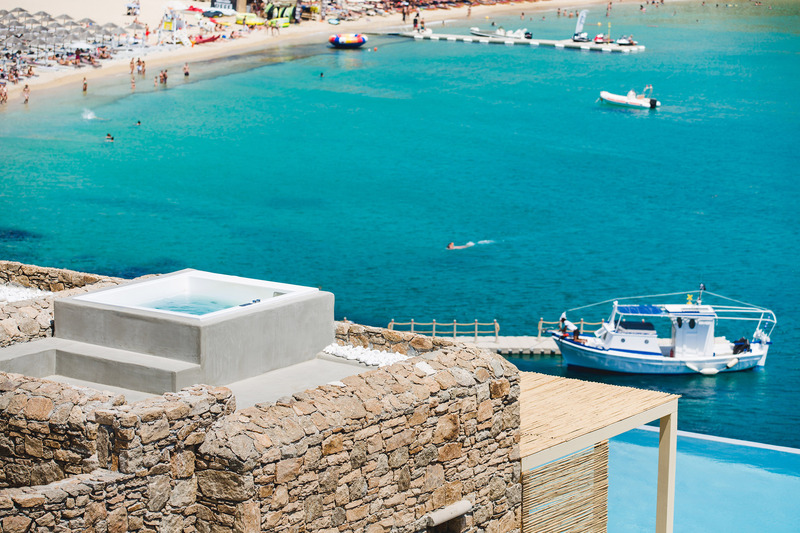 The suite with Garden view and private mini pool situated in a complex of luxury Suites and Villas in Super Paradise beach. The total space of 22-26 s.m. , is an open space and has an abundance of indoor & outdoor spaces, which are luxuriously furnished to the highest quality and detail and according to the latest design trends. In the suite we will face a pleasant surprise because from inside it may not have a view but when we go outside to the mini pool area you will find that you have a sea view . The suite is fully equipped , including Smart TVs 40 Inches . 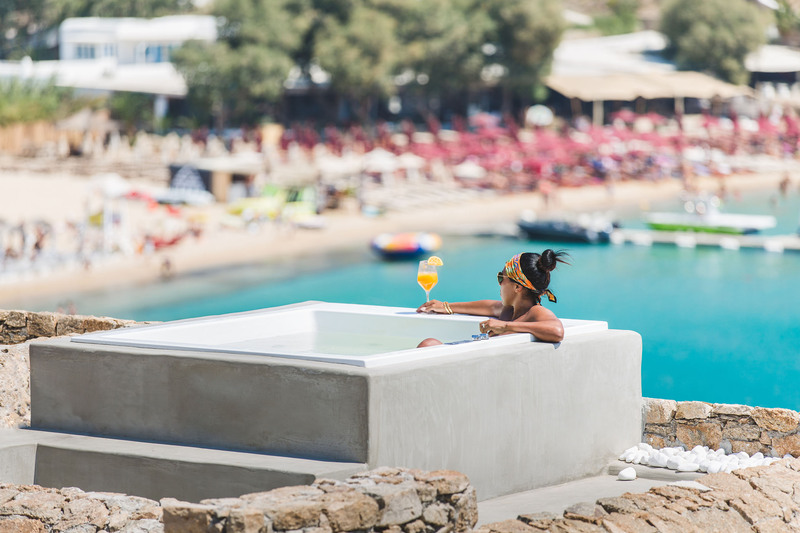 Super Paradise beach is undoubtedly one of the best in Mykonos with the famous restaurant beach bar Jackie O , Pinky beach , Super Paradise beach club .